I’ve been asked how to set-up a marine aquarium many times by people who are starting to think about getting a marine aquarium. As with all things in this hobby, there is more than one way to set-up a healthy and thriving aquarium. 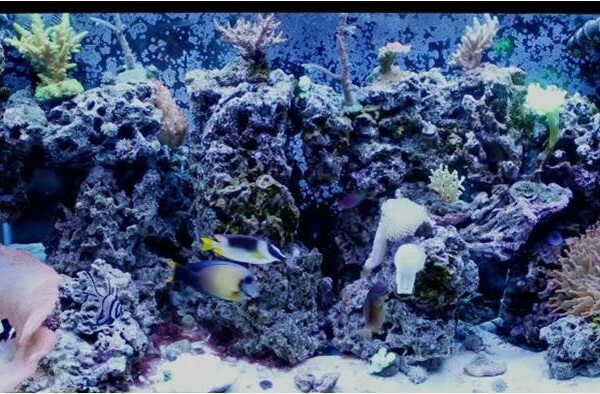 Before you can get to the point of a detailed step-by-step how to set-up a marine aquarium, you must first consider a few of the critical element to having a great set-up. Once you have those basic elements figured out, planning the rest of the set-up quickly starts to become really easy. After you have determined how big your tank will be, you will have to consider some elements that will need to be incorporated into your set-up. I have listed and discussed these 5 elements below. In my experience, the first 3 listed elements are minimum of what you truly need for a successful salt water tank. When combined with the last two elements listed below, you will be setting yourself up to have a very good marine aquarium. This is one of the biggest differences when compared to freshwater and one of the most important for salt water. 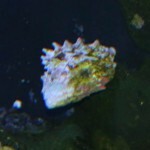 Buying quality live rock will be the best and easiest way help keep your tank very healthy. 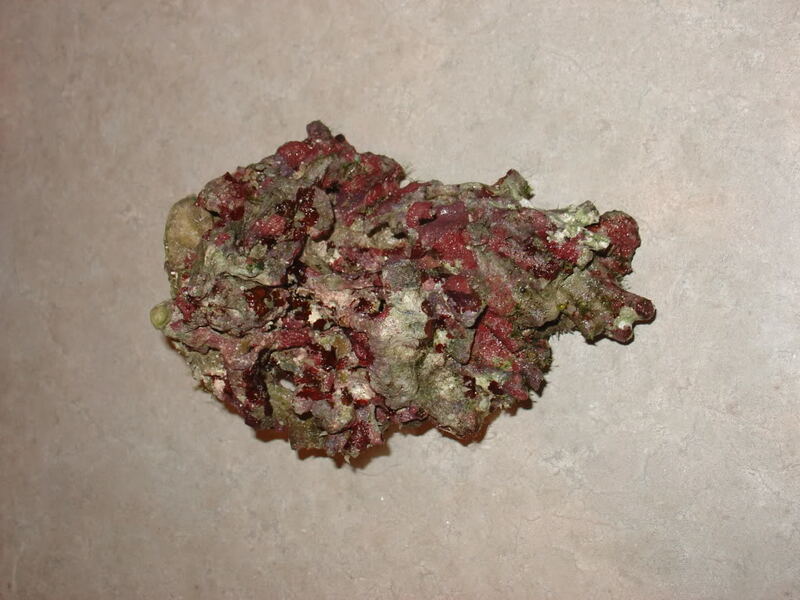 Live rock is typically from the ocean and is made of calcified / hardened skeletons of dead corals. It usually has a lot of live organisms on/in it. 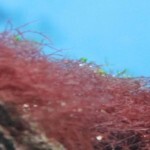 The rock will house the beneficial bacteria which will become the tank’s biological filtration and is much better than using a canister or a hang on the back filter. 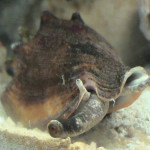 The reason for this is that although canister or HOB filters can be used, they will require a lot of extra work over having live rock in your tank. Live rock also provides food for some fish, and hiding places for fish and other critters. Live rock can also help to buffer ph, and helps keep calcium levels closer to that of natural seawater. The rule of thumb most hobbyists use is 1 pound per gallon of tank size. Live rock is different in how pours it is and would lead to some different results. You should add enough good quality (very pours) rock to make the tank look nice, provide hiding places for livestock, but not impeding flow thru and around the rock. As with most marine fish, they will need natural looking hiding spots to allow them to feel safe and secure in their aquarium home. 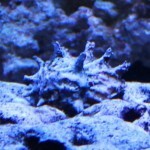 The best way to do that is to use live rock stacked in such a way to make these types of hiding spots for your fish. IMO every salt water tank should have a high quality skimmer that is overrated for your total water volume (tank plus the water in your sump if you have one). You should not to try to save money by getting a cheap or smaller skimmer. 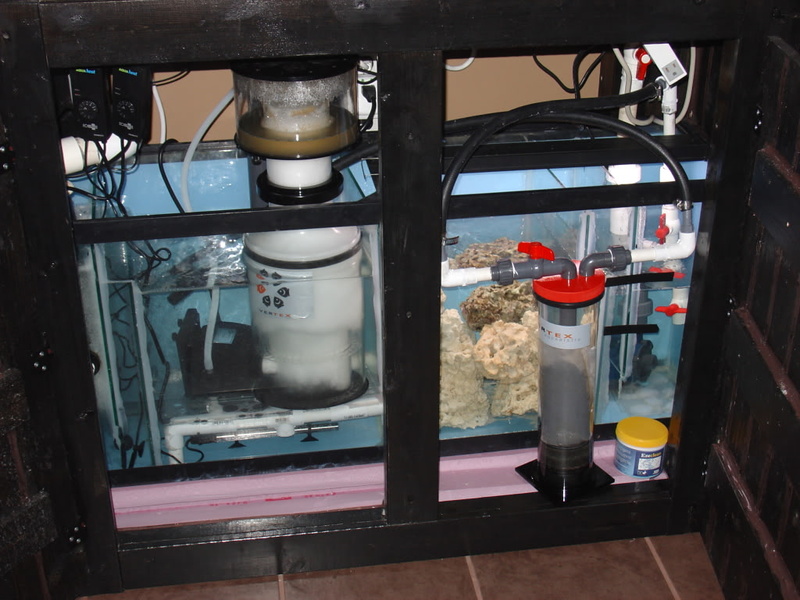 Depending on tank size you can put a hang on back protein skimmer or one that would sit in your sump. 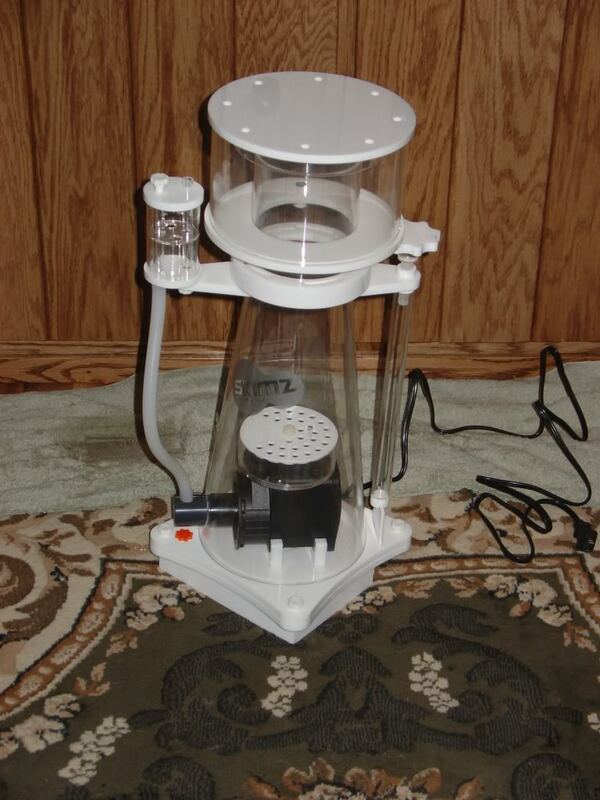 For larger set-ups, 75 gallons or more, I would suggest you start thinking about getting a sump with an in-sump skimmer. Protein skimmers will not only help to remove excess nutrients (wastes) from the water, but it will also keep the oxygen levels higher in the water. Both results will help to maintain a higher quality of water and help them to remain stable. 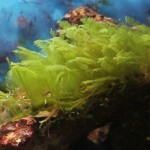 As a alternative to a protein skimmer, you can also consider a algae scrubber, but that is a topic best left for it’s own article. The below links can help you better understand protein skimmers. 3. Water Flow and Water Movement. This is achieved through a combination of different elements. Power heads, a return pump from a sump, and a HOB skimmer are the main ones. 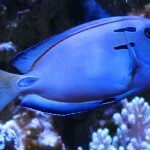 Having good water flow helps to increases oxygen saturation and keeps wastes in suspension for removal by your skimmer. In my experience, the minimum you will want to have approximately 15 to 20 times the tank volume per hour of flow. It’s important to create as much turbulent flow as possible to simulate the ocean for a healthy tank. With all of the stuff in my tanks, my flow is between 35 to 55 times the tank volume (depending on the stocking in each set-up) as I like a little more flow. 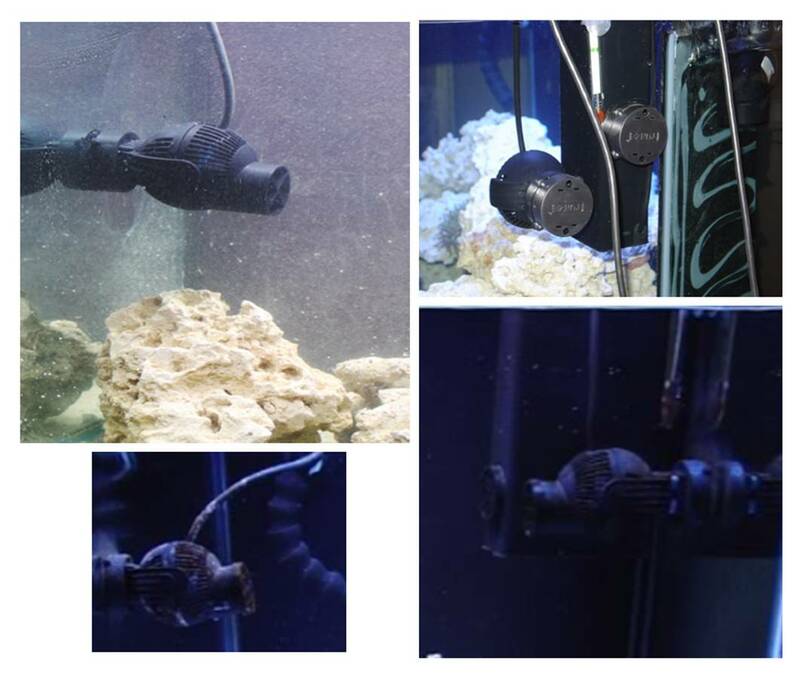 Aiming power heads at each other across the tank or at an angle off the glass will help to keep good flow without pushing around everything in your tank. As an example: Let’s say you have a 90 gallon tank, and you want to have between 1350 and 1800 GHP of water flow. You add up the GHP of the equipment you may have such as: return pump 500 GHP, a skimmer 100 GPH (Only include the skimmer if it is a HOB model), and 1000 GPH from your all of your powers combined, you would have a total of 1600 GHP of water flow in your tank which is good starting point for that size of tank. As one example, I have about 3200 GPH of flow in my 90 gallon because I like to have a lot of flow. The below link can help you better understand some other aspects of water flow and water movement. If you have those first three elements covered, you can have a really good set-up. In addition, I would add two more elements that will also help your set-up remain even more stable giving you even more stocking options down the road. D) You will have a easier time adding additional equipment latter on should you choose (like media reactors or a UV sterilizer to name two). 5. Very high quality salt and water. I personally would not use anything but top quality salt with reverse osmosis (RO) water having 0ppm of total disloved solids (TDS). Once again this can be a personal preference. Using a top quality salt, like reef crystals, with RO water will go a long to help keep all of the additional water parameters you want to keep an eye on wither you have a FOWLR or a reef tank. 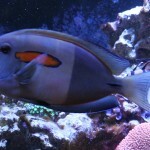 This is not a requirement even for a great reef tank, but it will certainly help a lot. 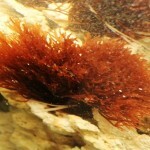 I have had great success using RO water and reef crystals. 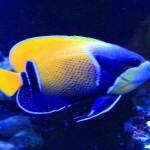 Keep in mind, in this hobby there are many different ways and methods to achieve a great and healthy marine aquarium. Most everyone you ask, will have a method they like and would likely never change. You need to learn as much as you can and go with the proven method you are most comfortable with. I know learning about a salt water set-up can seem over whelming at first (trust me I’ve been there), but it is not as complicated as most people think it is. Just take it one step at a time, starting with a lot of reading. Just keep asking questions and learning as much as you can before starting your first set-up. IMO, once you have a successful salt water tank of your own, you will find it is not much harder and will not require much more skill than having a healthy fresh water tank. At least that’s been my experience in my years of experience. One of the last little bits of advice I will offer is to complete some research and know what you want before buying any equipment. Marine set-ups can cost a lot more money to set-up when compared with a fresh water set-up of the same size. The last thing you want to have happen is that you will need to up-grade or change your equipment a few months after purchasing it. Take your time, learn what you like, and then purchase the equipment needed to get you that type of set-up. I’ve got a 200 gallon tank that had originally been a freshwater tank. I’ve set it up in our office with minimal biological loading – 5 small damsels and a clownfish. Running a filstar filter setup, couple of heaters. Running for a few years now, nitrates high. No sump/refugium. Think I am ready for the next step. 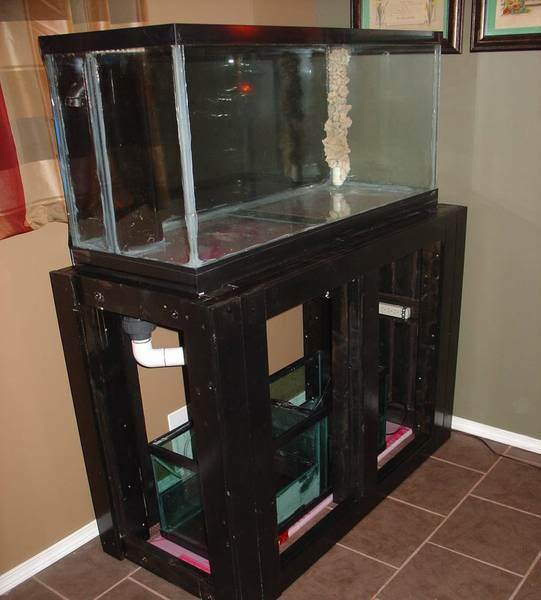 From what I am reading – you’d recommend a 20 gallon sump? I have been going on a crash learning curve about Reef Aquarium chemistry as we’d like to turn this into a Reef Aquarium once I get the chemistry right. Think I have the lighting fixed (2 HO fluorescents T5, 2 Actinic T5, 6 Blue Moon LED for a very deep dim blue night time light). The Tank is NOT predrilled. So Am I looking at possibly a hangon box on back for overflow to feed the sump?